Harley-Davidson® Cape Town Authorized Rentals is the best way to see the Western Cape on the open road riding the latest Harley-Davidson® models. 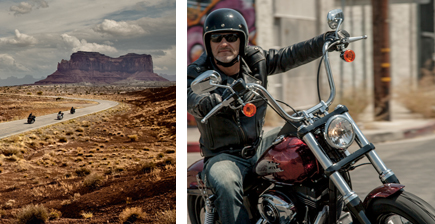 Harley-Davidson® Cape Town boasts with a rental fleet of over 80 Harley-Davidson® Motorcycles. Our fleet includes the following models; Softail Heritage Classic, Road King Classic, Street Glide Special, Ultra Limited, Road Glide Special and Iron 883. Genuine Harley-Davidson® Helmets and Riding Jackets are available for hire - Please book yours to avoid disappointment. +27 11 230 5124 / +27 21 401 4260 or email: rasheed@hdcapetown.co.za / mike@thrsa.co.za.